The Salem Chapter presents a workshop to help you succeed in today’s dynamic publishing world. Sign up early and take advantage of great pricing for Willamette Writers members. The concept of the Author Platform can be overwhelming and confusing, especially for fiction writers, poets, and memoirists. In this interactive workshop we will use exercises and examples to go from the general concept of the Author Platform to the specifics of finding your Author Platform Strategy – a strategy that will take away some of the overwhelm and allow you to create an actionable plan that’s right for you. 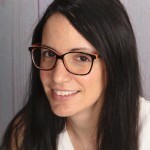 Orit Ofri helps writers, professionals, and small businesses get started and grow their online presence. Visit oritofri.com for more.